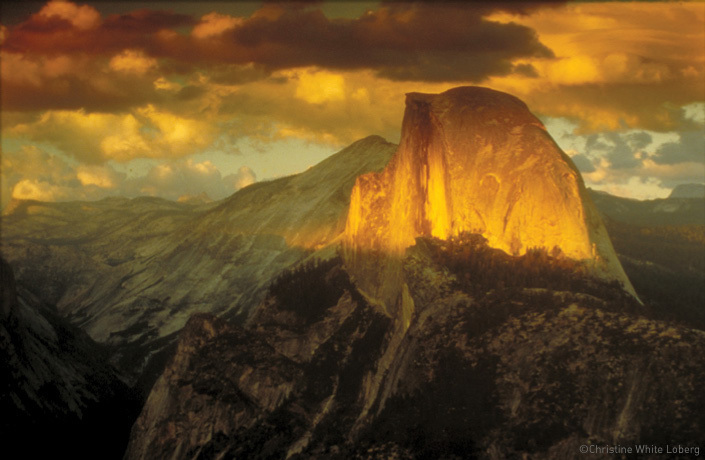 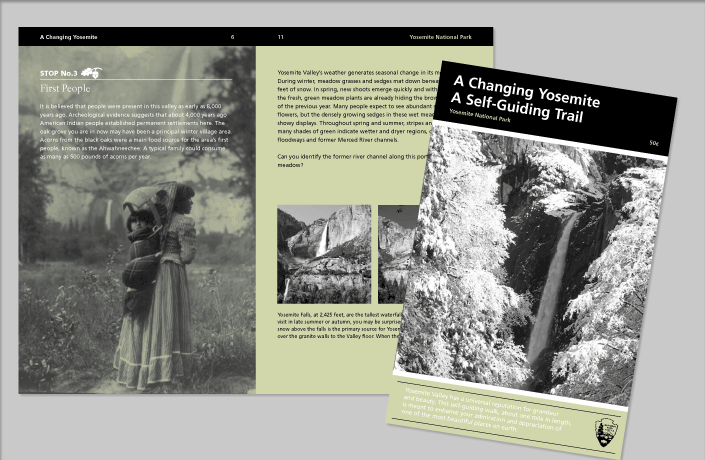 L Studio has worked with the National Park Service and The Yosemite Conservancy since 2005 to create communications materials for the 4 million annual visitors to Yosemite National Park. 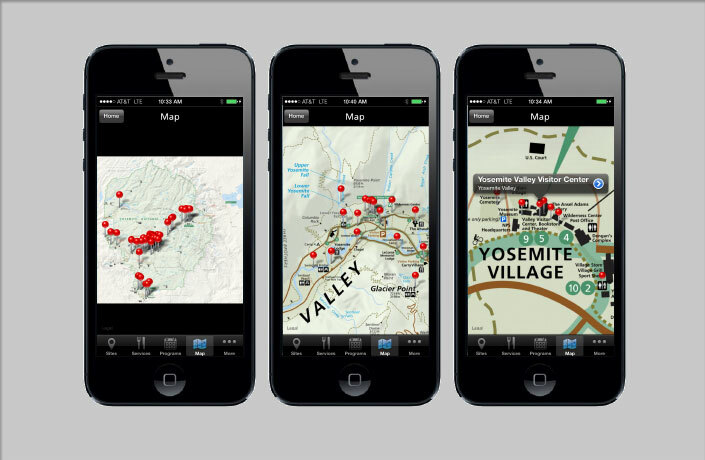 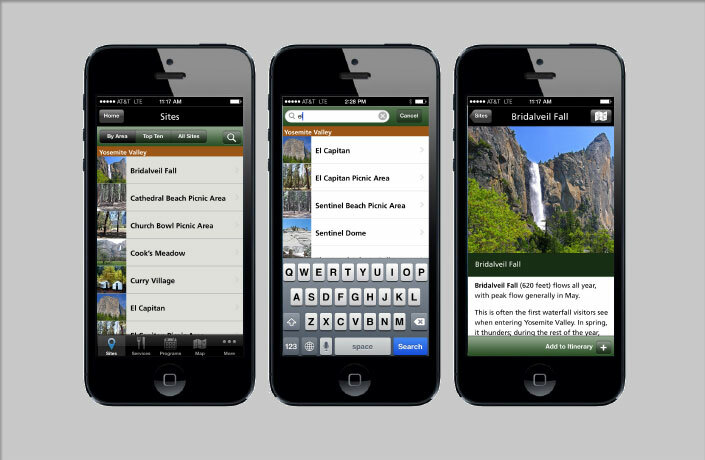 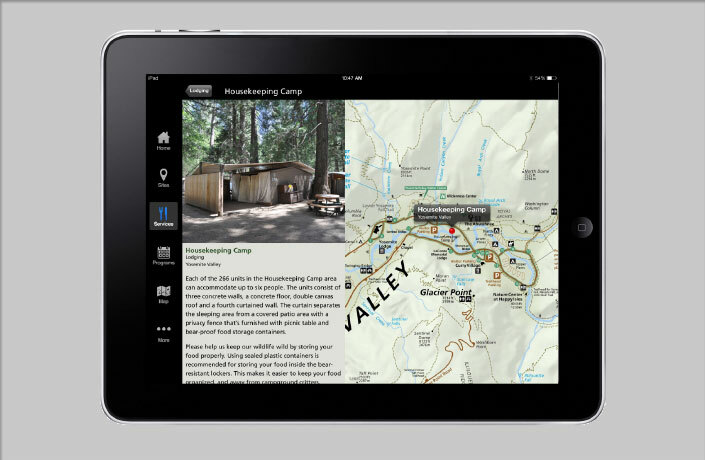 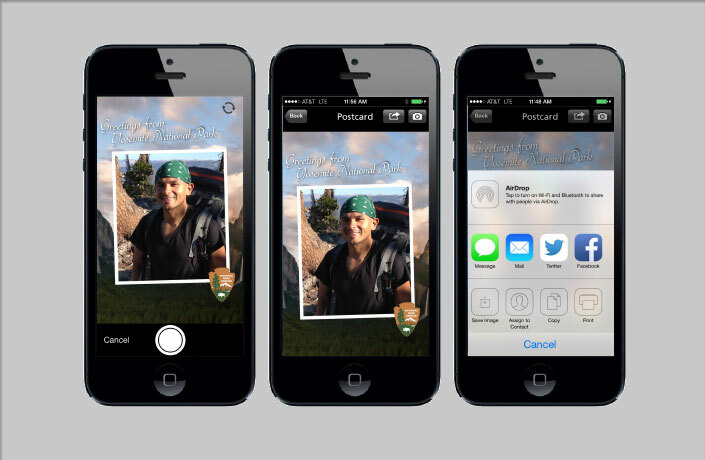 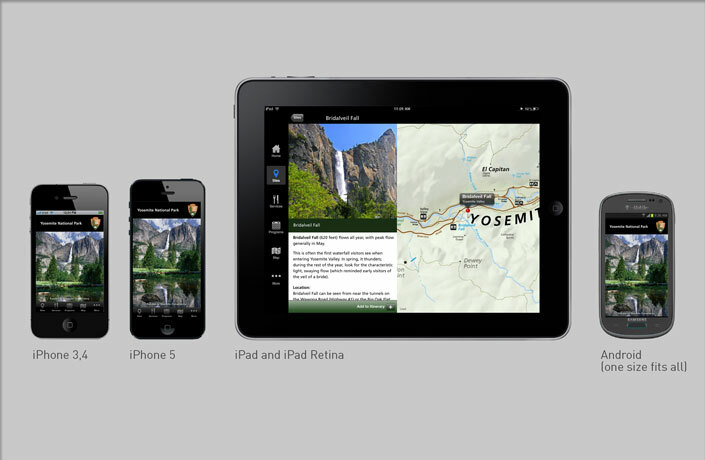 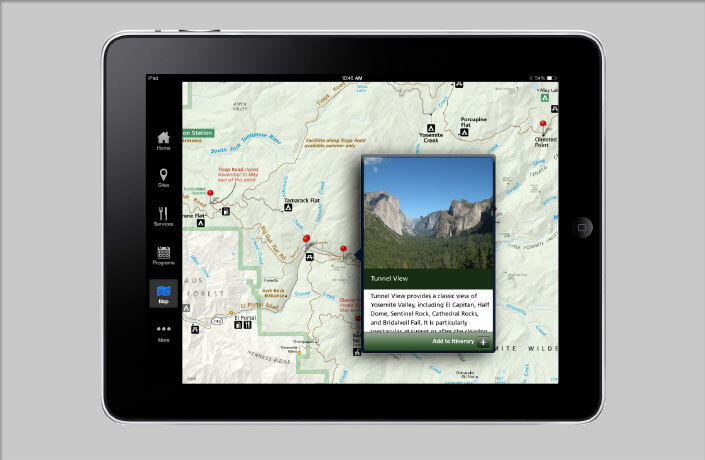 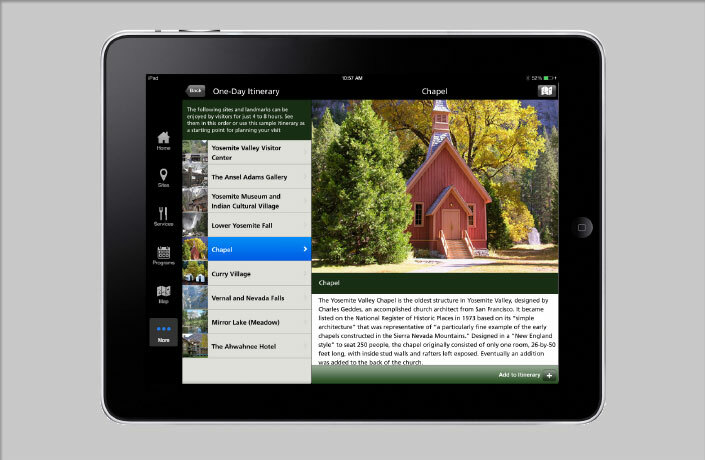 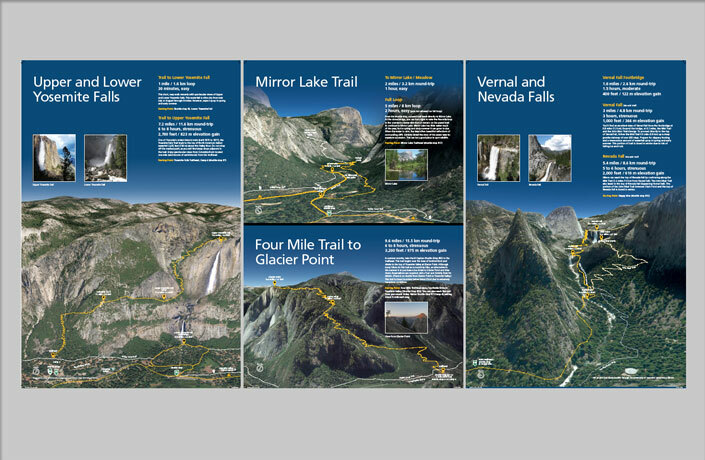 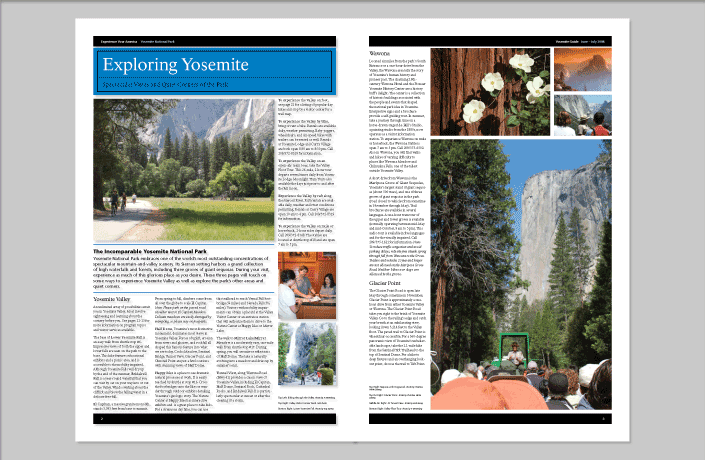 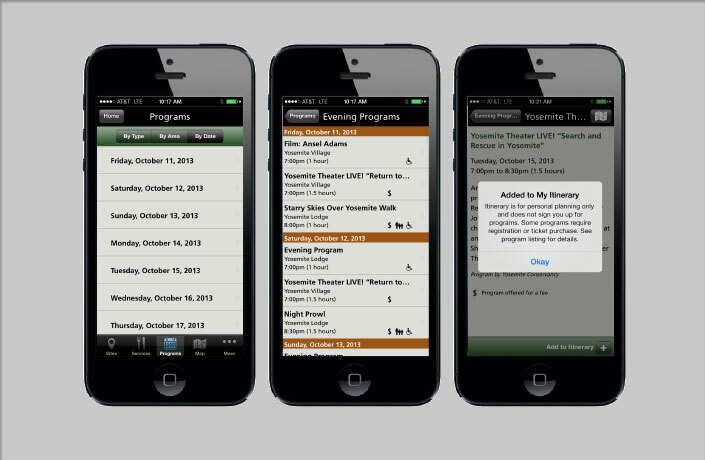 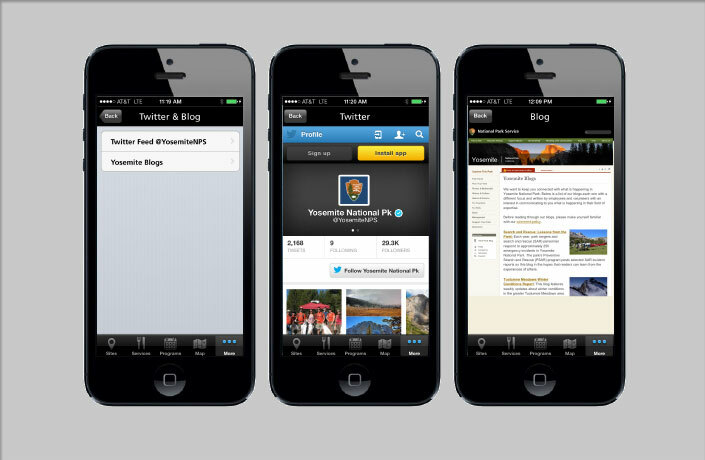 In 2013, building on previous work to develop the design of the Yosemite Guide that is distributed to all visitors at the entries to Yosemite, L Studio designed and developed the official NPS mobile application for Yosemite. 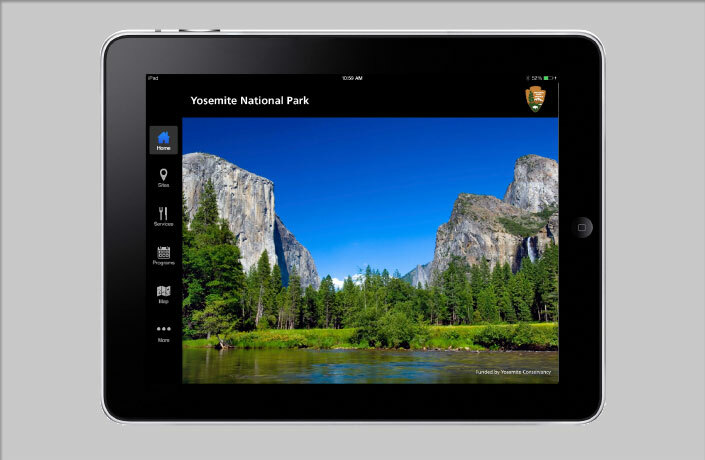 The app is updated 8 times a year by NPS staff and is available for use on Apple and Android smart phones as well as iPads. 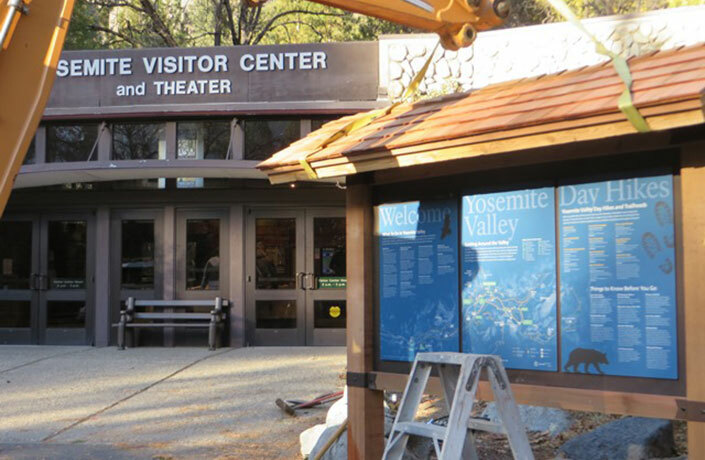 L Studio also assisted in the promotional notices to download the app within the park along with a series of three-dimensional graphic trail signs recently installed at the Visitor Center in Yosemite Valley. 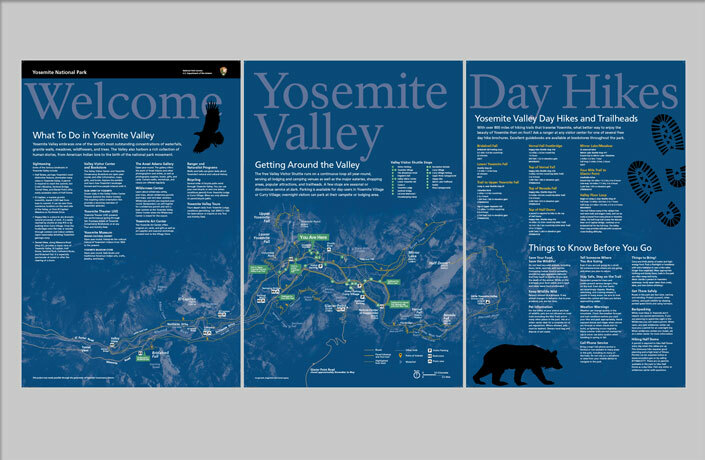 Design of a series of signs that provide a three-dimensional guide to trails throughout the entire Park, as well as hikes in Yosemite’s four major areas, with specific information on difficulty, duration and location. 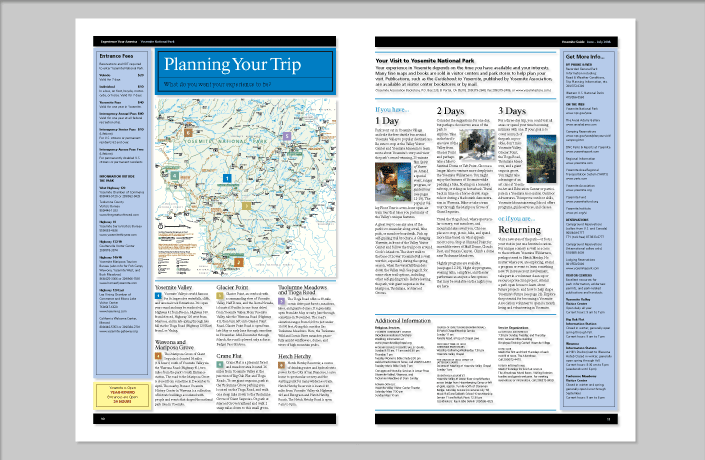 Design of a Visitor Guide template containing all general information needed by park visitors, including relevant news and safety information, maps, scheduled events, and stunning photos of the park. 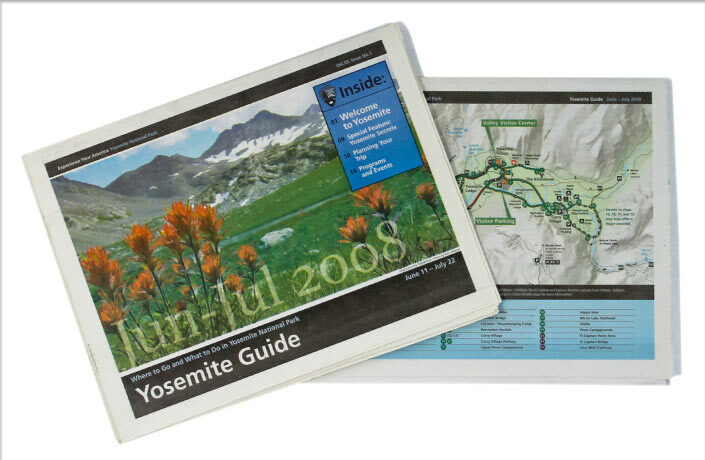 The templates were designed to be easily updated and produced by NPS staff throughout the year. 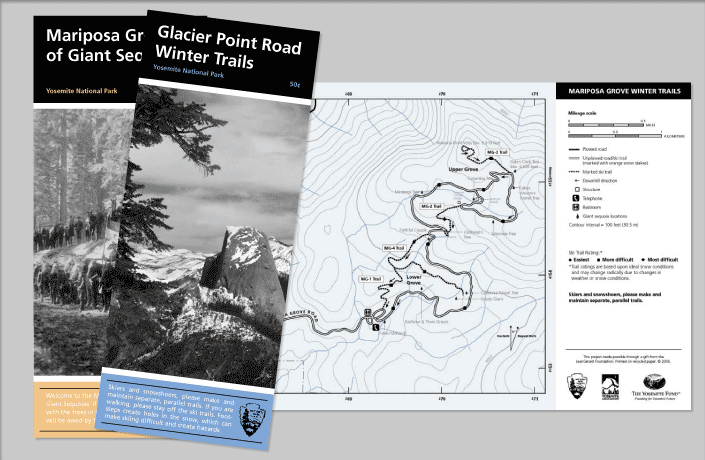 Design of a series of brochures and maps that that orient visitors to interpretive information in the park and the vast network of trails.